The concept of “planning for operations” first began under SAFETEA-LU (2005) to guide Metropolitan Planning Organizations (MPOs) across the country in how they make investment decisions to more comprehensively consider system management and operations. Measuring the value of how well an investment meets regional transportation goals and policies was an important breakthrough. The current MAP-21 federal program (2012) continues this emphasis on using performance measures in transportation planning. Now, MPOs are asking local agencies to remake their transportation plans in a similar performance-based manner. In the Portland, Oregon-Vancouver, Washington metropolitan area, for example, Metro’s Regional Transportation Plan (2010) calls for local cities and counties to report on how they will comply with regional performance targets for mobility, congestion, and mode share, to name a few. Metro communities have responded by adding performance measures into plan updates. In doing so, they’ve discovered some unexpected benefits, which are summarized in the following sections. Since a regional transportation plan already complies with federal MAP-21 guidelines, it makes sense for local communities to also re-align themselves with the same policy and performance framework. In this way, the local and regional agencies share a common set of metrics that can be used to score and discuss potential improvement projects. Local projects that could be funded through regional or state programs would be evaluated in a similar fashion as the regional plan. This also simplifies the public conversation about transportation investments by using a shared lexicon that describes what is valuable. This new measurable planning framework can also highlight gaps and weaknesses in local funding programs. For example, many jurisdictions have designed their development fee programs to help pay for roadway improvements that are necessary to meet the demands resulting from new development. Sometimes, projects that qualify for fee-based improvements are narrowly defined, such as only those that add capacity to the roadway. This typically excludes all non-motor vehicle improvements, as is the case for many Washington cities and counties that operate under their Concurrency Program. Some communities can adapt their fee programs to allow for a broader range of investments consistent with their planning objectives, while other are limited by legal barriers. The conflict comes when a locality wants these alternative types of improvements but has to admit that it has no funds to make them happen. It is important to note that regional planning objectives can be supplemented by locals agencies to address whatever other transportation plan policies are important to them. So, regional objectives about congestion and mobility can joined up with more community based issues such as safety, public health and livability. This approach is highly customizable to fit the values of a given community. This is critical: a performance-based plan connects plan policies to project selection and funding. It gives real meaning to the policies and objectives of a community if local planners can demonstrate that the investments represent the best package of solutions to achieve a desired outcome. This framework works equally well for a wide variety of possible outcomes, from new infrastructure construction to system operations and management solutions. 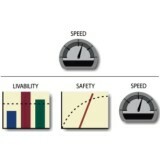 To illustrate this point, consider if the planning process only has a speedometer on its dashboard. If the plan is optimized around this lone gauge, all projects will lead to travelling faster. 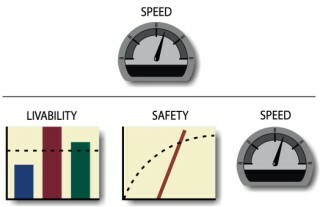 If the community values public health and safety, for example, then those gauges need to be there as well. Done well, this fundamentally changes the way solutions are identified, and can open the door to a broader range of system management and safety related improvements in the plan. With the right performance measures in place, the planning process strives to best meet objectives by identifying outcomes that score the best. This approach helps to break away from thinking about solutions by travel mode, and moves towards bundling various types of projects to achieve outcomes. For example, a traditional approach to pedestrian planning in the suburbs would be to identify sidewalk gaps on all arterial roadways, and then trying to prioritize those investments. Perhaps gaps near schools would get a higher rating. In contrast, a performance based approach to a specific objective, like making access to schools safer, might not just target specific blocks for sidewalks approaching schools, but also include measures designed to enhance street crossing traffic controls, add easements to connect through neighborhoods by trails to schools, and redesign fronting arterial streets to operate vehicles at slower speeds. It is a fundamental shift in how the problems are identified and solved. For these and other reasons, it seems like the time is right for local communities to consider making the shift to performance-based transportation planning. Carl Springer is both a professional engineer and professional transportation planner, and is a Principal of DKS Associates in their Portland, Oregon office. 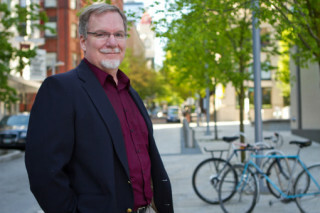 Carl has led citywide and regional transportation planning studies throughout the West Coast over the past 30 years. He has presented to dozens of planning commissions and councils about their transportation challenges and potential solutions, and has helped them to understand what it takes to get them built. 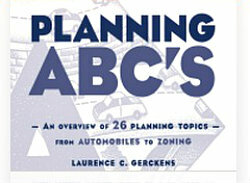 For a list of other transportation planning articles we've published.